A video game about 15th and 16th century art is the center of a new course this fall at Texas A&M University. 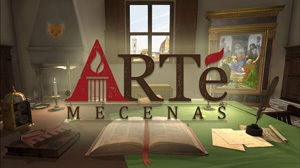 Offered in the College of Architecture's Department of Visualization, ARTS 489: World of Medici combines faculty-led lectures with ARTé: Mecenas, an art history game developed by Triseum in collaboration with the department's LIVE Lab to immerse students in the course subject matter. Students are given many attempts to complete the game, which requires them to learn and retain the course material as they build and maintain a financial empire in Medici-era Florence. Those who achieve 100 percent mastery in the game earn one credit hour. "Transformational learning is one of the strategic imperatives at Texas A&M University, and in response, the Department of Visualization is actively pursuing the goal of capitalizing on the current levels of student digital literacy, which are at an all-time high, to deliver a new type of high-impact learning experience," said Jorge Vanegas, dean of the College of Architecture, in a statement. "Offering the game as the course itself is a creative and innovative way not only to give our students options in the way they learn, but more importantly to ensure that they are learning in a way that is productive, engaging and fun." "The game provides context and fosters strategic thinking that would be difficult to replicate by any other means," explained Lilia Campana, one of the professors of the course. "Acting as Medici members themselves, students are in a unique position to gain a deeper comprehension of how the family bank (Banco Medici) operated on a large, global scale all over the Mediterranean, and how this led to [the Medicis'] status as one of the most powerful families of their time. Their economic power was a crucial factor in their patronage of art in Renaissance Florence and beyond. The Medicis' rich, artistic patronage, which was certainly a means of political aggrandizement and control, sponsored some of the world's art masterpieces, thus dictating the artistic and cultural climate in Renaissance Europe." "The game provides far more interactivity than is possible by listening to a traditional lecture or reading a text," commented Susan Sutherland, lecturer at Texas A&M. "It delivers a tangible way for students to not only recognize works of art, but to explore the context in which they were created. As students are immersed in the game, they build strategic thinking skills and gain knowledge to motivate them to keep playing and learning. The goal of the class is not only to increase their knowledge and have fun playing the game, but to spark interest in further research on the Medici, or perhaps even to go to Florence to see the art and architecture that they have studied!" Texas A&M and Triseum performed a joint IRB-approved research study in fall 2016 to assess the game's learning effectiveness. After playing ARTé: Mecenas for about two hours, students demonstrated a knowledge gain of nearly 25 percent from pre-test to post-test, according to a news release. A video of the game trailer is available here.